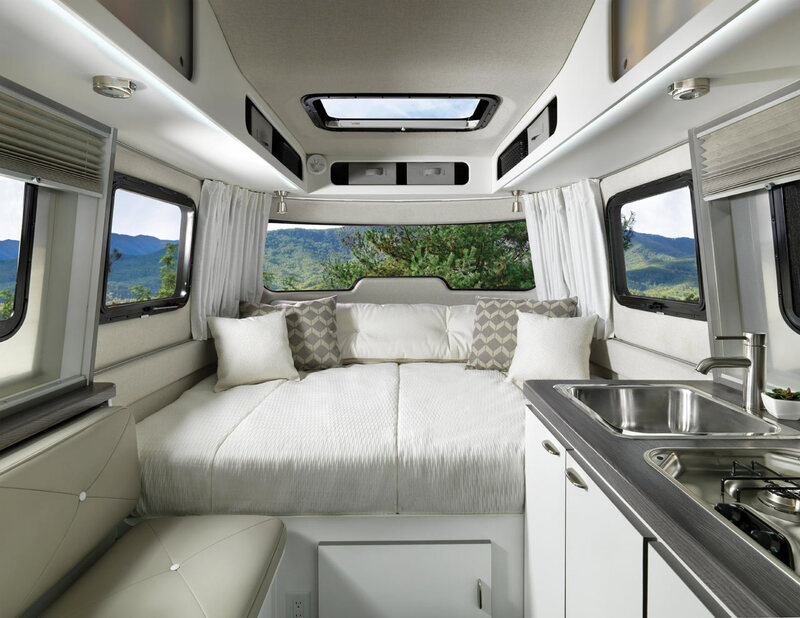 The innovative Nest by Airstream jumpstarts a new era for the brand focusing on forward-thinking design that optimizes function. Automotive designer Bryan Thompson was onboard to design the semi-monocoque fiberglass structure that features six windows, a skylight, a wide front windshield that resembles a pair of ski goggles, and a vertical window in the back doorway making for a light-filled interior. At just 3,400 pounds, the Nest is easy to tow. 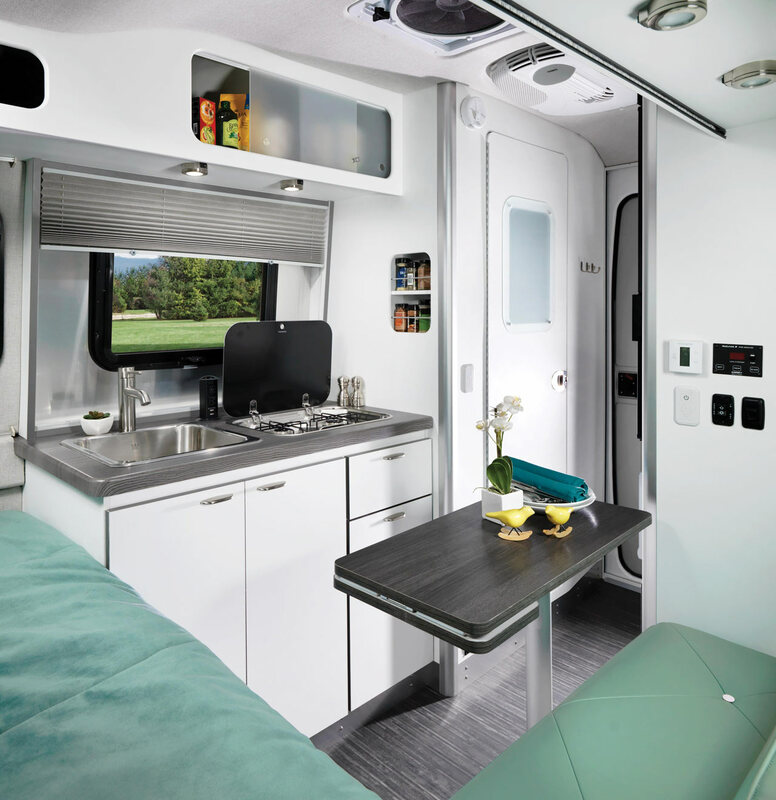 The interior is available in two floor plan options – one with a U-shaped dinette that converts to a bed and another that’s designed with a permanent bed complete with a queen Tuft & Needle mattress. Inside, there’s plenty of storage along with premium fixtures, a two-burner stove, microwave, and even a bathroom. It comes in two colorways – Clutch Blue and Wingspan White – you can choose from. Nest by Airstream starts at $45,900 which seems pretty reasonable considering a luxury car starts around that same price. Also don’t forget to check other trailer from Airstream Classic X1.